Lambert & Rehbein and REHBEIN Airport Consulting have been awarded the civil engineering design contract for the Orange Aerodrome Expansion project. 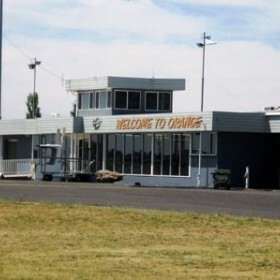 Orange City Council is undertaking an expansion of the Orange Airport to cater for larger aircraft and enhance the facility’s ability to function as a hub for a range of aviation related activities. We are delighted to be involved in this project, which will take a holistic approach to delivering integrated aviation services to the Orange Airport and community, improving operational performance, facilitating commercial opportunities and maximising outcomes for all key stakeholders. The design work includes 2.2km of rural road realignment, a 500m runway extension with parallel taxiway, taxiway widening and strengthening, apron expansion, associated airfield lighting and improvements to the general aviation facilities.